A few days ago, I was asked by a reader how to programmatically display the popup help window and customize it with arbitrary contents. This help window displays the doc-page associated with the current Command Window or Editor text. 1) jPosition sets popup’s pixel size and position (X,Y,Width,Height). Remember that Java counts from the top down (contrary to Matlab) and is 0-based. Therefore, Rectangle(0,0,400,300) is a 400×300 window at the screen’s top-left corner. 2) helpTopic is the help topic of your choice (the output of the doc function). To display arbitrary text, you can create a simple .m file that only has a main help comment with your arbitrary text, which will be presented in the popup. % are supported, but unfortunately not full-fledged HTML. The doc function is intended only for reference pages supplied by The MathWorks. The exception is the doc UserCreatedClassName syntax. doc does not display HTML files you create yourself. To display HTML files for functions you create, use the web function. As a technical note, HTMLBrowserPanel is actually only a JPanel that contains the actual Mozilla browser. Luckily for us, MathWorks extended this panel class with the useful methods presented above, that forward the user requests to the actual internal browser. This way, we don’t need to get the actual browser reference (although you can, of course). I have created a utility function that encapsulates all the above, and enables display of Matlab doc pages, as well as arbitrary text, HTML or webpages. 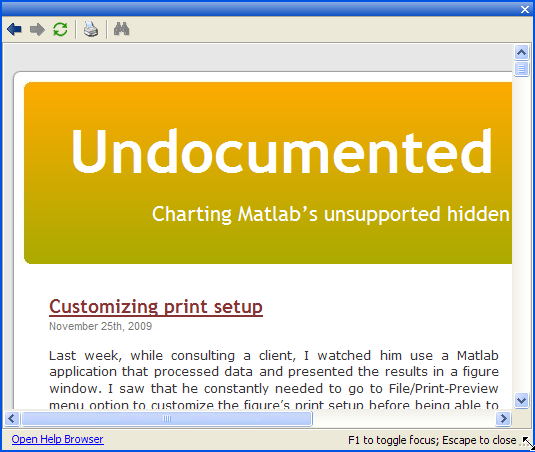 This popupPanel utility can now be downloaded from the Matlab File Exchange. An interesting exercise left for the readers, is adapting the main heavy-weight documentation window to display user-created HTML help pages. This can be achieved by means very similar to those shown in this article. Of course, as the official documentation states, we could always use the fully-supported web function to display our HTML or URLs. Under the hood, web uses exactly the same HTMLBrowserPanel as out HelpPopup. 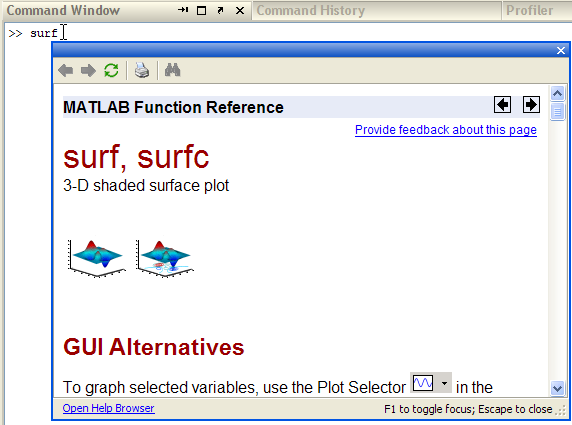 The benefit of using the methods shown here is the use of a lightweight undecorated popup window which looks well-integrated with the existing Matlab help. 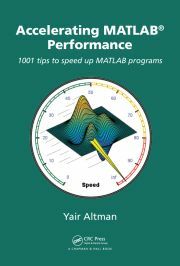 Please note that the HelpPopup implementation might change without warning between Matlab releases. An entirely separate, although related, implementation is Matlab’s built-in context-sensitive help system, which I described some months ago. That implementation did not rely on Java and worked on much earlier Matlab releases. I’m having troubles using this in a GUI that I’m coding by hand. When stepping through the debugger, I find that jTextArea is empty. However, if I re-type that line while in debug mode, it works just fine. Do you know any way that I can fix this problem? I am not using GUIDE (as implied by “coding by hand”), but your getClient() method worked for me. Thanks for the quick response and your help. This website is very insightful.